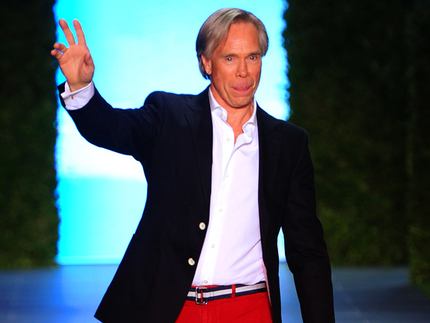 Tommy Hilfiger is making some changes: According to WWD, The label is planning roll out a new teen-focused line called Tommy Girl — set to hit Macy’s in July — and also plans to shutter the year-old “downtown prepster” shops called Tommy, replacing them with the regular Tommy Hilfiger shops. The brand launched the Tommy shops as a concept last year — one on Bleecker, with locations in the Georgetown neighborhood of Washington, DC and White Plains, as well as two in Toronto — and, presumably in tandem with the launch of the Tommy Girl juniors line at Macy’s, has shelved the idea (and one of the Toronto stores entirely). The tweaks the company seems to have made dovetail with goals to bring the target market’s age and price points down a notch: Tommy was aimed at the 20 to 30-year-old set, and the Tommy Girl line will retail for significantly less, between $32-$129. Like the Tommy line, Tommy Girl adheres to what WWD calls the designer’s “preppy with a twist heritage”, consisting of oxford shirts, jeans, polos and peacoats. The re-do makes for an interesting development in Bleecker Street’s retail real estate, which just last week saw the sudden shuttering of Ralph Lauren’s men’s and women’s stores, reportedly being replaced by that brand’s younger Rugby or RL divisions. It might just bring Bleecker to a happy, preppy medium.